Mr. Newton, with the dairy cow. Barn and silo shown. You dont often get a view into the past for a property you buy. 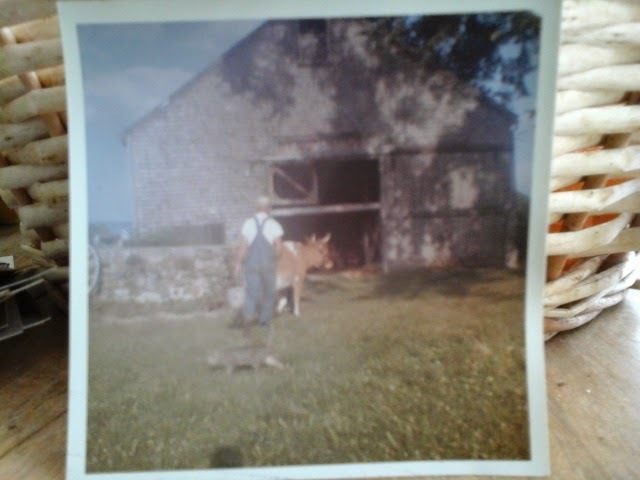 the photo above, with Mr. Newton and one of the cows, and the barn cat, is my favorite. I might have to paint that one. Here are two more, comparing yesteryear, and today. These are just photos of the photo, so resolution isnt great. 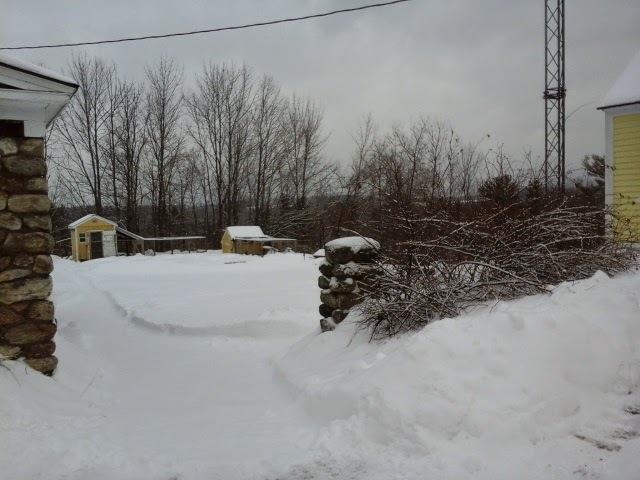 Then: standing in the driveway looking out towards the back. 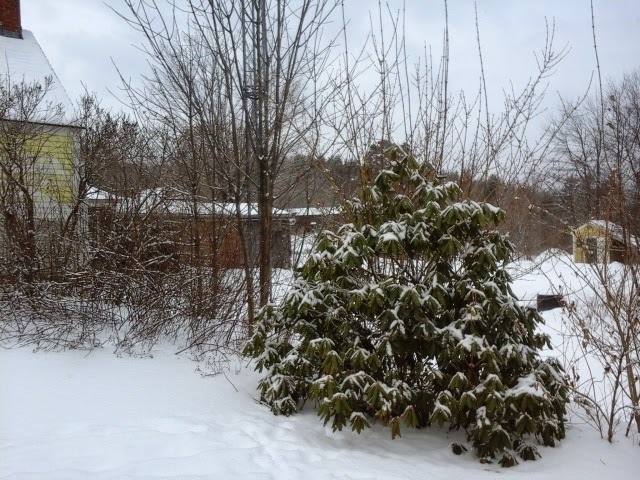 Then, standing about where the bird feeder is now, looking towards the back. 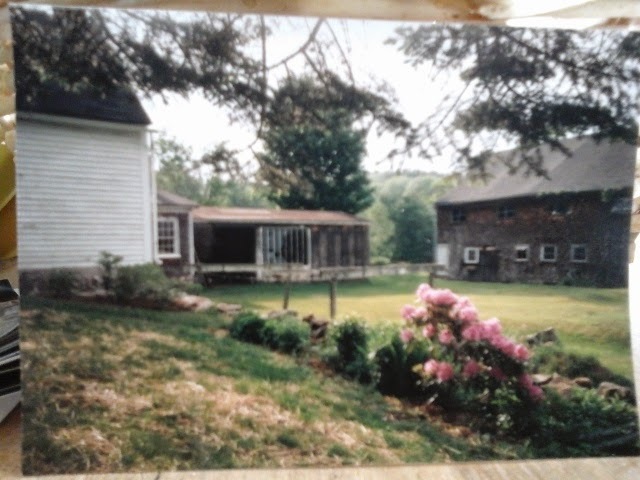 Notice rhododendron bush blooming jn foreground.. Seeing these old pictures really made me love this place even more. 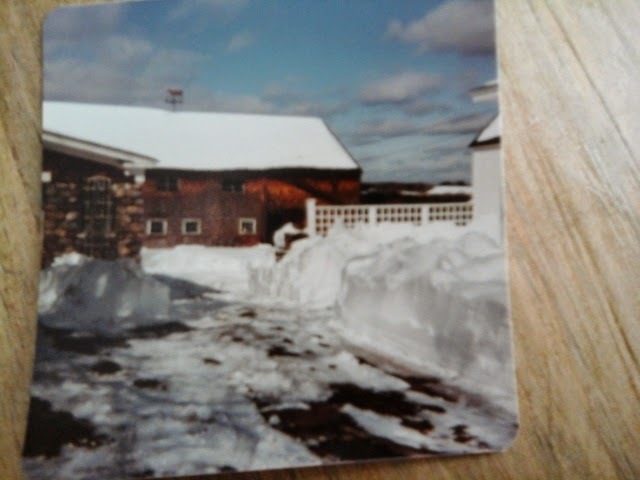 We cant afford to build a grand barn like that, but we will at least return the fields to grazing livestock, and the garden back to productivity. And the land will be loved, and the farm cherished. Restore us to yourself, Lord, that we may return. Renew our days as of old. While this verse is really a prayer of the Israelites in the Old Testament, I think it speaks of a common human desire... to return to good days, and old times. That is what we hope for this old farm.